If you are a Boomer or you are the child of a Boomer, here are some ideas for birthday or holiday presents for people over over 50 or 60. Check out Baby Boomer Christmas cartoons, nostalgia gifts, Rick Steves books, stuff made in America, and more. As a Boomer chick who’s right in the middle of the Baby Boomer cohort, I’ll do my best to give you a list of Christmas presents that your favorite Boomer will love... whether or not he or she will admit it. Once upon a time, there were only three television channels, plus PBS. Well, I haven’t seen all of the cartoons and stop-animation goodies on this DVD, but most Boomers will remember these shows. So, get ready to watch your favorite Boomer’s eyes glaze over with nostalgia, and get yourself some earplugs so you can make it through another round of stories about the good old days. The real gift will be when you visit your dad or mom and show him/her how to change the channel from Netflix Instant to DVD input. What a gift. Yes, these cartoons are kind of retarded, but I still kind of like them. There are several websites that specialize in candy from the 50’s, 60’s, and 70’s. If your Boomer with a sweet tooth isn’t borderline diabetic, here are some of the weird goodies I remember from my childhood. Oh my Gawd, these are just a few of the candies that I see and all of them crack me up. You do know that most of these sugary treats cost a penny or a nickel back in the day. Then inflation hit and some of them rose to (gasp) a dime. I love all of the Rick Steves guidebooks. His books are based on getting to know the locals and getting the biggest bang for your buck. I do find it a bit weird for Rick Steves to be talking about one-day excursions, but I trust everything he says, and I never go to Europe without buying the appropriate book beforehand. (Well, I did go once without doing my Rick-Steves homework… and I’ll never do that again.) 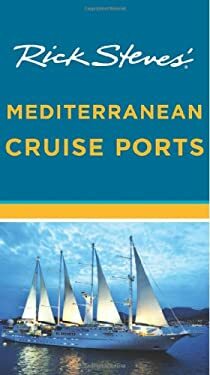 The Mediterranean Cruise Ports book will show you how to make the most of a few hours in the main Mediterranean ports and how to get to several cool places nearby. Even if mom isn’t booked on a Mediterranean cruise, it’s fun to browse travel books. Daydreaming is fun. And, who knows, mumsy might decide to take you along someday. Most Boomers actually remember a time when the United States still had a deep manufacturing base. Shoes were made in America. Clothes were made in America. Heck, even toys were manufactured here. If you want to keep the United States in business, do your part to bring back America’s manufacturing base. I don’t think that having an “information based” economy is sustainable in the long run. And, manufacturers in the US are almost always more environmentally aware (or coerced) than manufacturers in less regulated parts of the world. And, I’m no hillbilly country-western type of Boomer; I’m an ex-hippie. Be sure to let mom or dad know that you chose the product because it was made in the USA, and buying American-made products is the best way to fight corporate greed. Just type “Made in the USA” or "Food Gifts Made in USA" into any search engine. You will see site directories that give you lots of ideas. Stop calling us “seniors.” Many Boomers are still in their 50s. Even though that sounds old to you juniors, it’s not quite Seniorsville, which traditionally starts at age 65. And, stop talking about golden years, unless you’re referencing the David Bowie song. As for Silver Surfer, I’ve never been able to stand on a surfboard and my natural hair is neither silver nor gray. If you want to call me a grade-A platinum b**ch, that might be acceptable. If you can’t manage to stop calling us "seniors," consider getting your favorite Boomer mom or dad the South Park Episode of Grey Dawn. Or, give your mom a promise that you'll call her once a week. Then, follow through. Well, be careful about following through… you might give your mom a heart attack. What do you think of this article? Leave a comment at the bottom of the page or give us a Google Plus. Oh... this article practically tears me up Tina... I remember so many of the things you mentioned. Forgot the Duncan yo-yo though... we used to go to the Duncan sponsored yo-yo contests in the local movie house. As far as candy bars, I personally liked the vanilla flavored "Buns" and "Zagnut" bars the best. 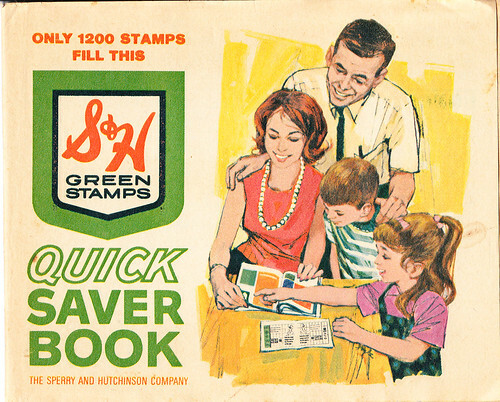 Hated those itchy crinkly slips. And actually had a felt poodle skirt... even though I was a bit too young for it. Thanks for the trip down memory lane... meet you at the "Hop" on Saturday night. I don't remember Zagnuts very well. I remember Turkish Taffy and I could never eat them today or all my fillings would fall out. Those slips were made by the devil himself! I don't often buy candy, but bought some in a specialty store recently. I was amazed that some brands were still around from decades ago; especially some pink candied popcorn in a black-and-white box. By the way, I specifically bought sugar-free mints to distribute at a retirement residence because some of the recipients would be diabetic. Then one person told me she was allergic to aspertame. Learn something every day. Wow, that's good to know, Mike! I wonder what she can eat.